Who dosent love Paella and a nice glass of fresh Sangria. Oh i personally love them both. 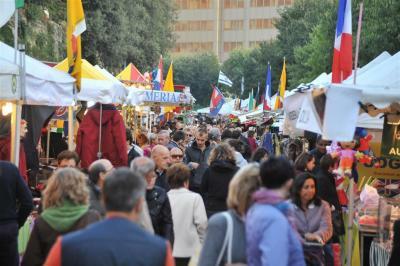 In my town Arezzo, there is a fair every year where food lovers come and taste all types of dishes from all over the world, from Argentina to Middle Middle East, Germany, Spain, Belgium, France, Austria, And its amazing, the food is great. Come to Arezzo and try it.